My name is Chad Kuhn, head instructor of Team East Coast/New Breed Ohio in Canton, Ohio. 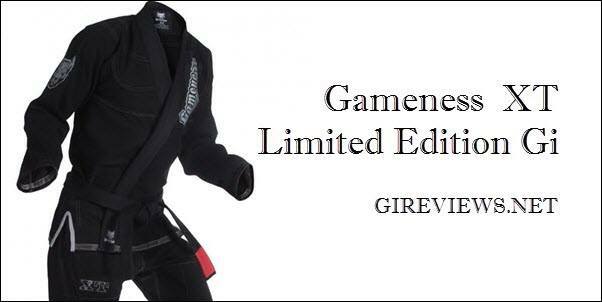 I have wanted a new black gi for a while, so when Gameness released the XT in black I knew I wanted to try it. As soon as I opened the box, I thought wow this is a sick gi. The color of the contrast stitching and the embroidered pit bull logos…. everything looked great. A couple of my training partners have the XT in white and said it ran a little big and didn’t shrink much at all. I typically wear an A3 in everything; I guess I fall in between A2/A3 since I am 6ft and 150 lbs. But, I have always gone with the A3 for length, so I figured I would try an A2 in the XT and I am glad I did. Reinforced stitching including the elbows, a thick rubber collar, 10 Loop MaxDraw ® drawstring system, Gameness Platinum 100% Cotton pants and a 550 gram Pearl Weave top. The XT features blue contrast stitching, embroidery and a newly designed chest patch.